On “College,” FINNEAS shows us the final chapter of a relationship that died due to a lethal cocktail of Twitter, distance, miscommunication, and pain. When Atwood Magazine spoke to FINNEAS, he stated that if he was to be front and centre of one of his single artworks, there would have to be a very good reason for it. 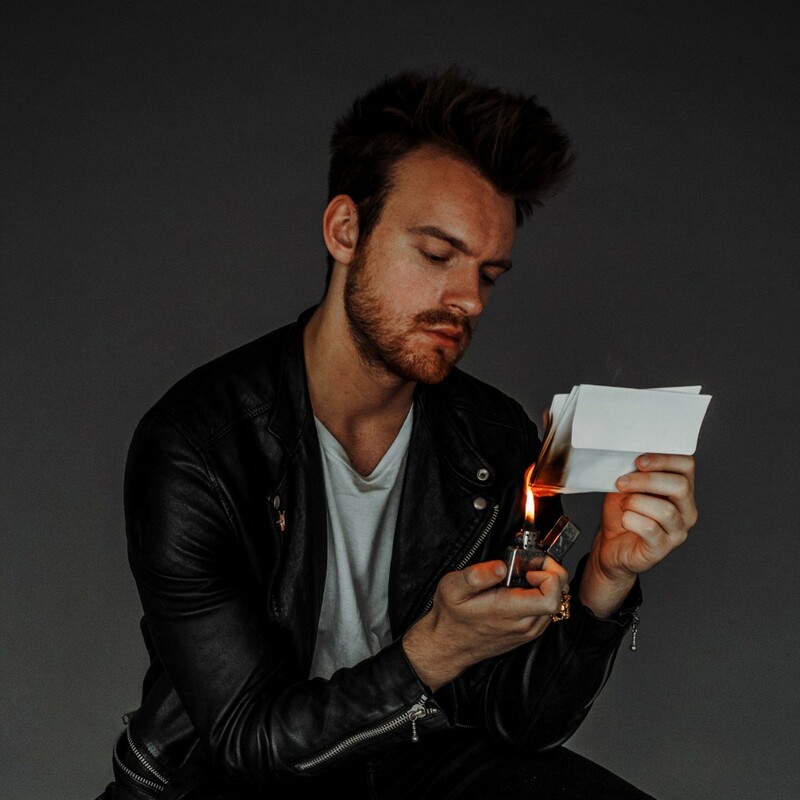 On the single art for “College”, FINNEAS’ newly released song, O’Connell is shown emanating coolness in a leather jacket while burning a pile of letters. Unsurprisingly, the photograph is almost a perfect depiction of the song, in which FINNEAS narrates the tragic end of his relationship and how each party dealt with finding closure. It’s a story that’s peppered with frustration, anger, heartbreak, sadness, and the only logical way to bring an end to it was to burn the evidence – which O’Connell literally does. On the acoustic ballad “Life Moves On”, O’Connell talks about a partner who dreamt of being on a Broadway stage and moved across the country for college. “College” seems like the sequel to “Life Moves On”, and in it O’Connell explains exactly how his relationship died: a lethal cocktail of Twitter, distance, pain, and someone moving on before the other. How long was I on my own? Polaroid pictures are instantaneous and foggy, meant to immediately capture a fleeting moment and eternalise it, but in order to make this work, the photograph fails to capture too much detail, leaving us with a dream-like representation of real life. It seems that the relationship O’Connell is describing in the song was just like that: beautiful and perfect on the surface, meant to be eternal, but in reality turns out to be just an idealised depiction of a moment. The letters referenced on the end of the first verse are the ones O’Connell himself is burning on the song’s cover art, making “College” his personal and hurtful ode to moving on. The chorus is where O’Connell shows us how he feels about the end of the relationship – a mixture of resentment, pain, and frustration, an accurate depiction of the complicated melting point of emotions that comes hand in hand with the end of a relationship. The choir of voices which melt into his just strengthen his emotion and make the song even bigger and more cinematic than before. O’Connell ends the song on a more vulnerable note, opening up and admitting to also being heartbroken – and feeling like his pain wasn’t taken seriously enough. And what’s left after the song ends is a feeling of closure, something finally achieved after an emotional whirlwind and a relationship that was torn apart by distance and miscommunication, the latter being a theme O’Connell previously touched on with his single “Break My Heart Again”. On “College”, FINNEAS beautifully proves to us that not only he talks about romance – and lack thereof – better than anyone else, but he’s ready to craft a narrative with his songs, pulling us into his world and baring all his scars unashamedly, and making us fall in and out of love all over again.